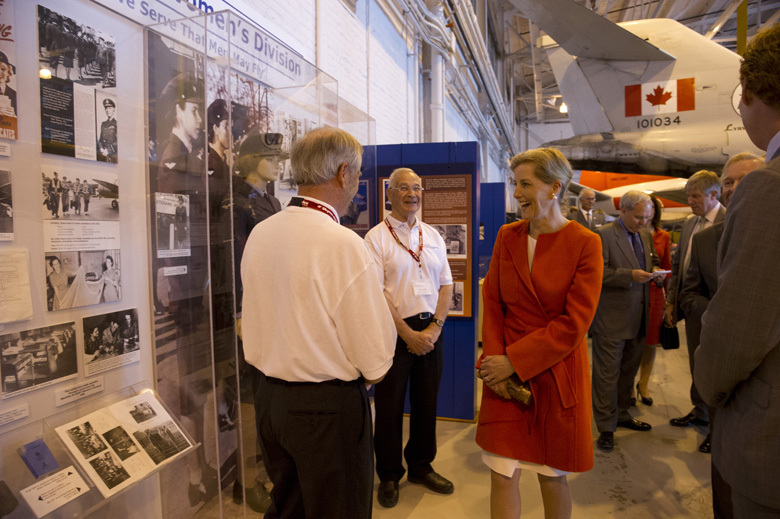 The Earl and Countess of Wessex were in Canada from 21-24 June 2016, visiting Ontario, Manitoba, Saskatchewan and Alberta. 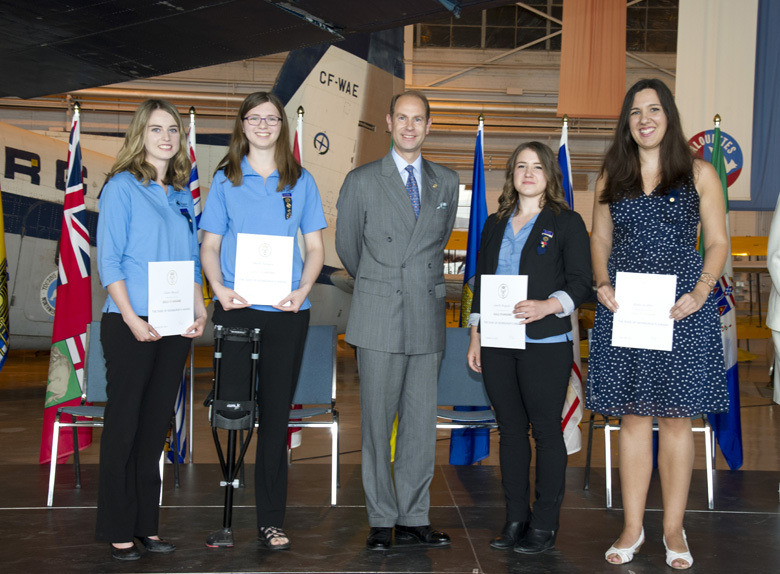 Their Royal Highnesses visited the Royal Aviation Museum of Western Canada in Winnipeg, and afterwards The Earl of Wessex, Chairman of the Board of Trustees for The Duke of Edinburgh's International Award Foundation, attended a reception for young people who have achieved the Gold Standard in the Award. The Countess of Wessex visited Deer Lodge Veterans Hospital in Winnipeg, where she met veterans, residents, family members and volunteers. The Earl of Wessex, Patron of the Globe Theatre, Saskatchewan, and The Countess of Wessex, attended a performance at the Conexus Arts Centre, Regina to mark the 50th anniversary of the Globe Theatre, Saskatchewan. The Earl of Wessex visited the Royal Canadian Mounted Police training facility in Regina where he met cadets and observed their training. 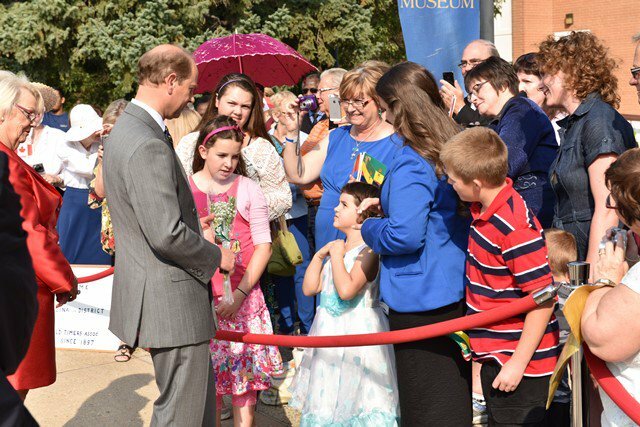 After attending a reception for young people who have achieved the Gold Standard in The Duke of Edinburgh's International Award, Their Royal Highnesses viewed an exhibition to mark the 125th anniversary of Government House in Regina. The Countess of Wessex, Colonel-in-Chief, South Alberta Light Horse, attended a Regimental Dinner at Government House, Edmonton. 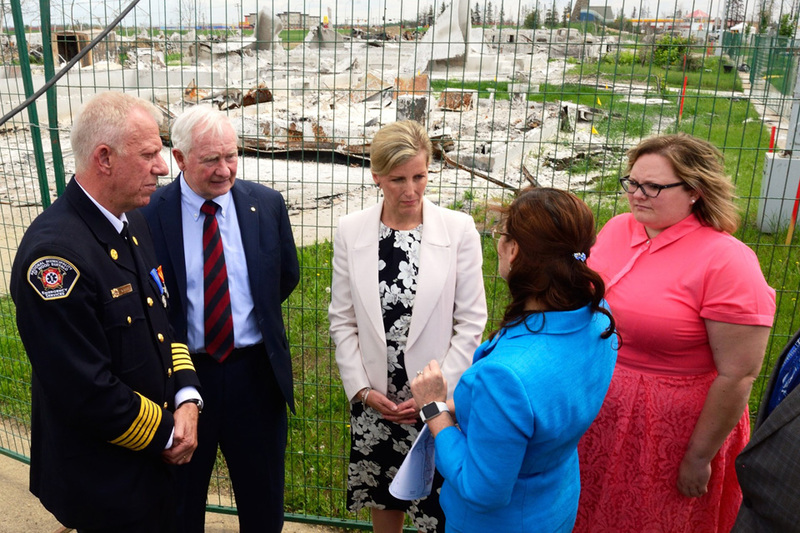 Her Royal Highness then travelled to Fort McMurray in Alberta where she met the residents of fire affected communities following recent wildfires which had destroyed hundreds of homes. "Thank you, Mr Prime Minister of Canada, for making me feel so old!" All naval vessels of the Royal Canadian Navy are named with the prefix HMCS, 'Her Majesty's Canadian Ship'. When in Canada, The Queen uses her Personal Canadian Flag. Congratulations to everyone graduating !